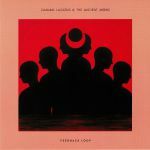 Review: On this second album from his Ancient Moons project, Damian Lazarus has decided to switch focus. 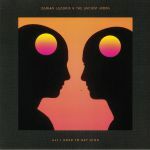 Whereas the outfit's debut album, Message From The Other World, combined global music influences with Lazarus's usual tech-house rhythms and a touch of psychedelia, Heart of Sky is much more heavily influenced by the Crosstown Rebels' chief's rarely discussed soul boy roots. Of course, the beats and basslines still largely stick to the powder house script, it's just that this time they come accompanied by starry-eyed soul vocals, 1960s dream pop influences, bold piano flourishes, gospel choruses and, on rare occasions, smoky trip-hop aesthetics. As a result, it's undoubtedly a much more "human" album, and one with far more crossover potential than its predecessor. Review: British electronic music veteran Damian Lazarus recently returned with his band project The Ancient Moons for a new full length entitled Heart Of Sky - which combined cosmic world influences with his love for '80s soul and funk artists such as Loose Ends, Luther Vandross, Maze and Gwen Guthrie. The first single is the evocative and heart wrenching slow-burner "Feedback Loop". 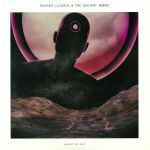 It also receives a bunch of terrific remixes, which come courtesy of New York City's Serge Devant who delivers a sleek tech-house perspective, Bedouin's remix nails that woozy and esoteric Crosstown Rebels vibe perfectly but best of all is the legendary Mad Professor who delivers his version: the Ariwa dub 1.